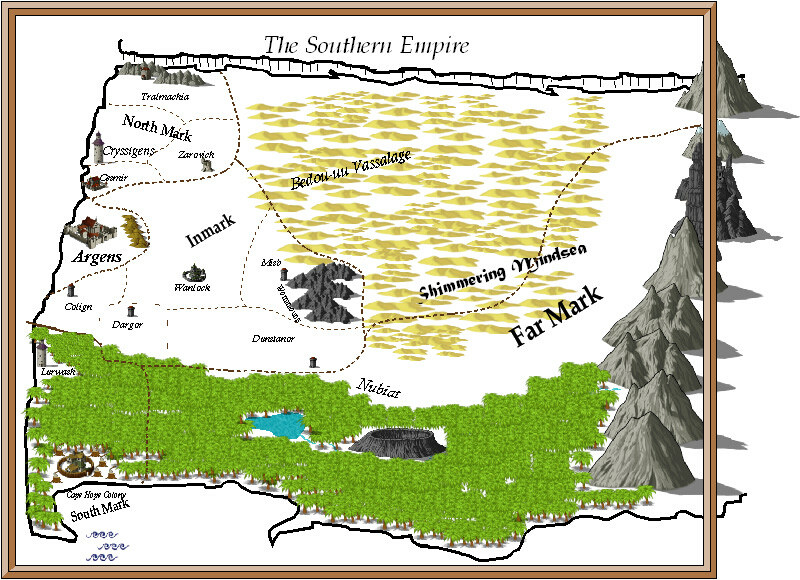 The Lands of Hope are detailed and it may help you to follow along on the maps as you read. Or you could just be someone who likes to see maps! Here they are. 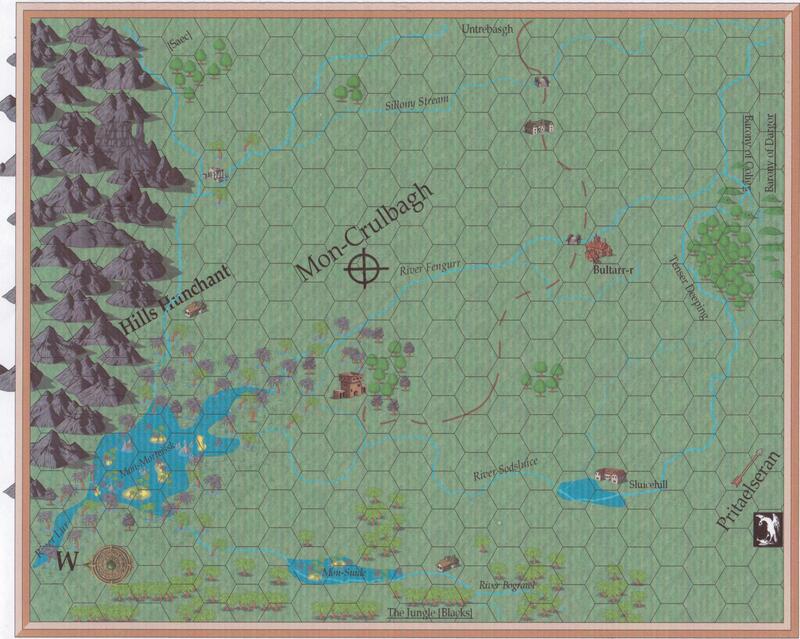 The general map “The Lands of Hope” shows the entire subcontinent west of the Swords of Stone, which are considered impassable. 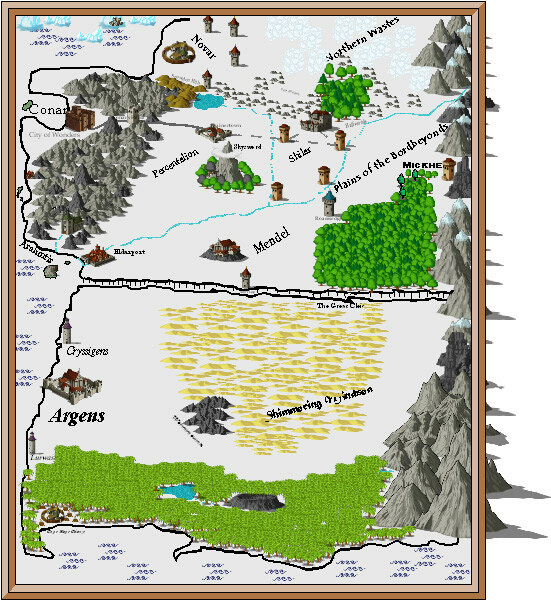 A description of these kingdoms is contained in the Compendium of the Lands and portions of that will be available when more stories appear online. The second and third maps show the Southern Empire of Argens, essentially the lower half of the subcontinent, and then the detail of the Empire’s North Mark. This is where the action of “The Ring and the Flag” takes place. Historical information on the Empire of Argens, or the Southlands as some call it, is posted from the Compendium on Facebook. The novelette “Three Minutes to Midnight” is set in the fabled City of Heroes, which until now has had no location on any map. 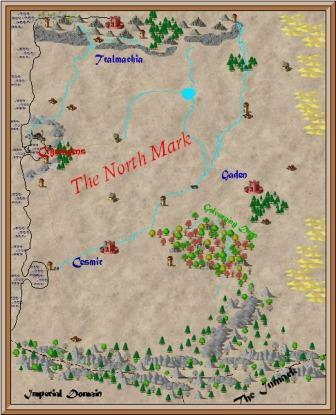 Some claim it is set into the foothills of the Swords of Stone on the easternmost edge of the Plains of the Bordbeyonds, but there has been no proof. 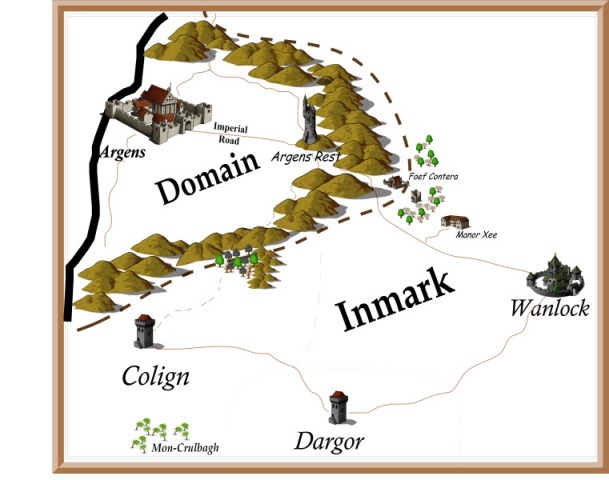 The Lands of Hope, The Argensian Empire/Southlands, The North Mark, the foef of Mon-Crulbagh and a detail map of the Inmark.